Posted by Ada Wang on 11/29/2018 3:10:41 PM. Although epub is one of the most common ebook formats, pdf is supported by more devices or platforms. So here I will share with you how to convert epub to pdf Calibre. Calibre here can be described as an free epub to pdf converter. If you have epub ebooks or a lot of epub files but you cannot read them on various platforms or certain devices such as kindle that don't support epub but support pdf. It's a great pity. Or it's a waste of valuable resources in some way. Why not convert epub to pdf and make the fullest use of your epub books? Next the steps of converting epub to pdf Calibre will be displayed for you. Enter the Calibre's site I give and choose the right version for your computer. Here I use the windows version and take it for example. 2 Run Calibre and add the books to it. Open Calibre, click the "Add books" button at the top left corner to add books that need to be converted to it. When you succeed in adding books, the title of the ebooks will show in the middle list. 3 Click once on your selected book and then click the "Convert books" button. Then it will pop up a new window. Then click on the "Output Format" option and choose your output format as PDF. Click the "OK" button. Then the pop-up window will close and convert your book in the backstage. Look at the right bottom corner, you will see the message bar "Job 1", it means a conversion job is going on. As soon as the number becomes "0", the conversion is completed. After it converts epub to pdf, you can see there are epub and pdf formats displayed in the right side of the interface. You can click epub or pdf to open and read. If you don't know where the converted pdf files are saved, you can click the "Click to open" icon to find where they are. And now you can transfer the pdf files to other places to read. Now we turn to see how to convert drm epub files to pdf Calibre. The drm epub files need more attention to handle with. If the epub books are with drm, they are usually with adobe drm or nook drm. No matter they are locked by adobe or nook drm, they have to be decrypted before converting formats. And you can have a look at the picture below, that's the problem. Then what to do? If you want to remove epub drm using Calibre, you have to download the DeDRM Plugins to your computer and then add it to Calibre. Next is the steps of how to do it. Step 1. Download and install Calibre. Step 2. 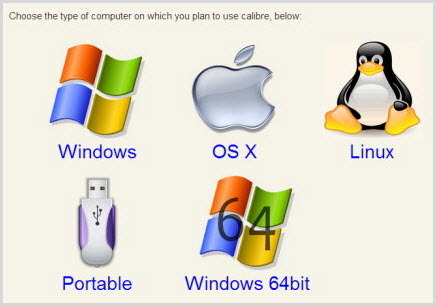 Download Calibre DeDRM Plugins. Step 3. Add the plugins to Calibre. Run Calibre, find "Preferences" on the top of Calibre's interface and click it. Then a new window pops up, click "Plugin" under the "Advanced" option. Again a new window will pop up, click "Load plugin from file" button and select your already downloaded Calibre plugin file "DeDRM_plugin.zip" to it. Then it will come up a window asks if you are sure to proceed to install the plugins, just click the "Yes" icon to continue. There will be a noticing window to tell you that the plugins installation has succeeded in Calibre. Click "OK" icon to finish. Step 4. Remove epub drm. Now restart Calibre and add your DRMed books to it. Usually it will remove the books' DRM automatically. 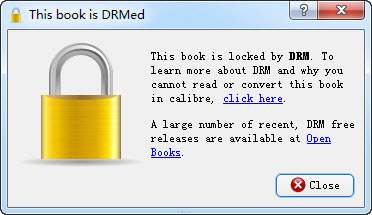 If your DRMed books are already in your Calibre library, you should remove them from Calibre first and then re-add them to Calibre, or their DRM will not be removed. Step 5. Convert to pdf. Now you get the drm-free epub files. Then you can continue to convert these drm-free epub files to pdf with Calibre. I have stated clearly about how to convert drm-free epub to pdf in the first part of the article, you can operate according to what I stated if you don't know how to convert. You can see that the process is rather complicated and bothering. And you may meet problems like the program suddenly exiting unnormally or problems of the drm removed books at times. The point I want to stress is that it’s just a choice using Calibre removing ebook drm but not a so good choice, not the first choice. Anyway, Calibre is good for managing ebooks and convert formats but not a good drm removal. If you are looking for a powerful program that can solve all problems better, I recommend Ultimate Converter to you. It can remove ebook drm and also convert ebook formats. Several clicks of the software will solve all the problems. It’s a trustworthy and free software. Much more convenient and efficient! You can go for a try! OK this article has come to the end. But perhaps you also concern other ways of? Converting epub to pdf. About this topic I have written in-depth guides for you, and collected them together. Friendly tips: Is it possible to edit PDF? By defaul epubor ultimate tool (calibre too) won't help you edit the converted PDF files. It only helps remove DRM and convert eBooks formats between Kindle, ePub and PDF.